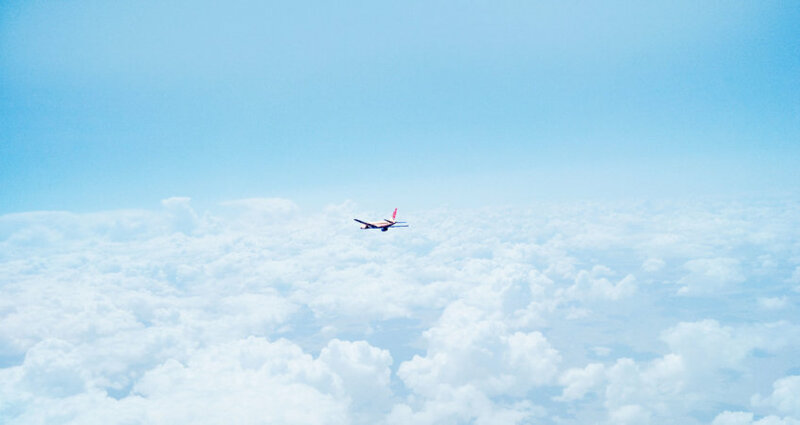 Humans have always had a fascination with flying and aviation. So when it comes to transporting rescues to safety on an animal rescue relay transport, there’s no more safe, and efficient way to get the animals to where they are going than to fly them. But there are a few things that you should do and remember when you’re planning to fly animals. 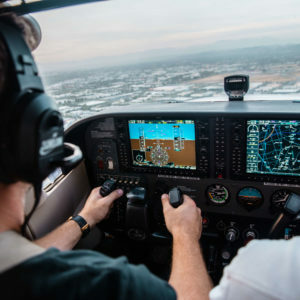 Whether you are a pilot or a four-wheeler meeting up with the plane, being prepared for the “3rd dimension” is important to ensure the flight goes off without a hitch. Here are five helpful tips to remember when flying animals on a transport. You’ve probably heard the airline announcements over and over and know that after you land that they always exercise caution when opening the overhead bins because objects tend to shift during flight. Well the same holds true for transporting animals. 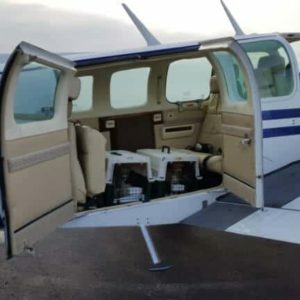 ALL animals need to be either in appropriately sized crates, or secured harnesses and tethers when you put them on an animal rescue relay transport flight. Animals need to be secured into their seat/crate so that they do not shift during flight, or try and climb up to where the pilot is. Be sure to plan ahead and bring extra harnesses, leashes, and appropriately sized crates so you can avoid this problem. When you want to know what the weather is like you generally look outside or grab your favorite app. It will tell you the temperature and whether it is going to run or not. It gets a little more complicated when you are flying though as you have to look at the weather where you are, where you’re going to, and everywhere along the way. Weather patterns change often and mother nature can be unpredictable. And while the weather may be fine for driving, that same weather can be extremely hazardous to a small airplane. The temperature goes down as you go up from the ground so water droplets can quickly turn into ice depending on the temperature at the ground. So rainy days for cars can turn into freezing rain for airplanes only a few thousand feet up. Recognizing that mother nature can play tricks and change things in a heartbeat, always plan ahead, and have a plan B in case the weather takes a turn for the worse and flying is not an option. Small planes do not have the same equipment and capabilities as the large airliners. Most animal rescue relay transport pilots won’t fly without a flight attendant. As you hear in the airlines’ pre-flight announcements, the flight attendants are here for your safety and comfort and having one on an animal rescue flight is important to the safety of the passengers and crew. A flight attendant can keep an eye on the passengers, handle any in-flight problems, and be a great asset to the pilot-in-command for paperwork and other items. Two heads are always better than one. We’ve all sat next to the grandma on a flight who’s very nervous because she has never been flying before. Animals are no different when it comes to animal rescue flights. Animals that are a part of a rescue relay transport are often very stressed given the conditions and getting on an airplane just adds to the stress of the situation. Often the passengers, particularly those younger passengers, will get an upset stomach and end up projecting their contents during a flight so there’s a couple of things to keep in mind. First, avoid food and excess treats prior to a flight unless specifically directed by the transport coordinator or veterinarian. Water is generally ok but trust me, you do not want to be on the receiving end of tasty soft food at 5,000 feet. Next, make sure to have your transport kit fully stocked with appropriate clean up materials. Whether you are the pilot-in-command or the next leg of the rescue relay transport, you will want to clean up your passengers after their maiden voyage before transitioning them to the next stage of their journey. Finally remember that flying is something that still needs to be taken very seriously. If there is a problem in the air, the pilot cannot just pull over to check it out. So it’s always important to trust your pilot’s judgment regarding the safety of the flight. Always have a plan B. Planes are like cars in that they have moving parts, need maintenance, and things sometimes break. While nobody wants to plan for a “day of” cancellation, the safety of the flight, pilot and passengers is always the #1 priority. Trust that your pilot does not want to put their life, or anyone else’s life in jeopardy and respect their decision if they are not able to fly. They’ll likely work with you to find an alternative plan. Got a tip for flying animals that we should know? Tell us! ← What if you could not fail? After following these tips, it’ll get easier for every pet owner to make it’s pet travel in the air. Sometime, after traveling in the plane the health of a pet might get worse. Along with the humans, pets also have the motion sickness when they travel in the air for a longer period. Motion sickness might prove to be dangerous for the animal’s health. In this situation, a pet owner can also consult some Pet Transport Service. These companies have specially modified Vans and unique transportation techniques. They take care of the pet while traveling and make sure their journey stay safe and healthy. Great points @cxdelivery:disqus and motion sickness can be a problem so it is always important to focus on providing water and holding off on food during transport unless transporting puppies or as advised by a veterinarian. Pet transport service companies definitely do a great job and are often the unsung heroes in animal rescue. Thanks!